As Kirsty mentioned in her end of year wrap up for 2016, Romania was the one country in which we could have easily spent much longer. There were two factors that stopped us doing so. The first was the weather, we were there in early October 2016 and the days were already very mixed, and the second was not having our own transport. More on that later, but suffice to say that during our three week stint there, we saw enough to realise that Romania is one darn fine pretty country with some very liveable towns, outstanding natural beauty, friendly people and plenty to see and do and for these reasons alone we intend to return at some point in the future and see some more of it. We started our journey in Bucharest, having crossed the River Danube from Ruse in northern Bulgaria. 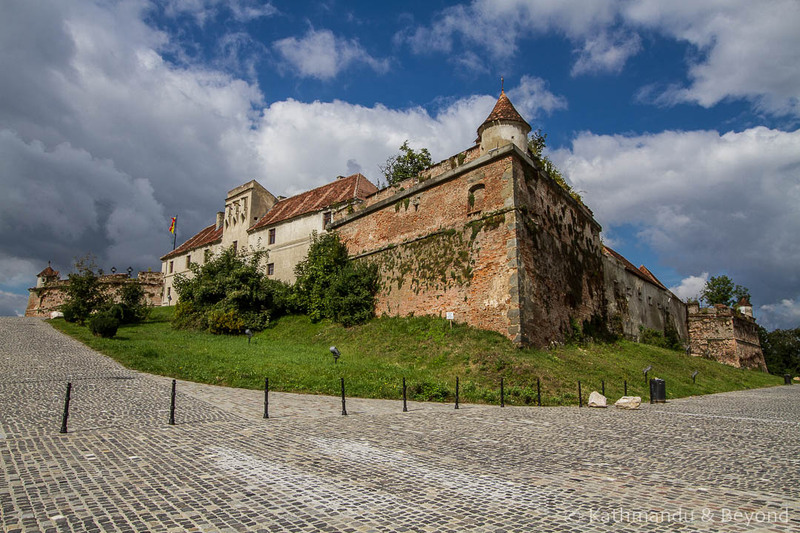 After a few days in the capital, we then headed into Transylvania, visiting Brasov, Sighisoara, Medias and Sibiu before exiting Romania into Hungary via Timisoara in the west of the country. Although not a bad introduction to a country that neither of us had visited before (*), there is still plenty that we missed. (*) This is not strictly true. I went on a week-long skiing trip to Romania in the late 1980s but I didn’t see beyond the slopes and the resort I was staying in. 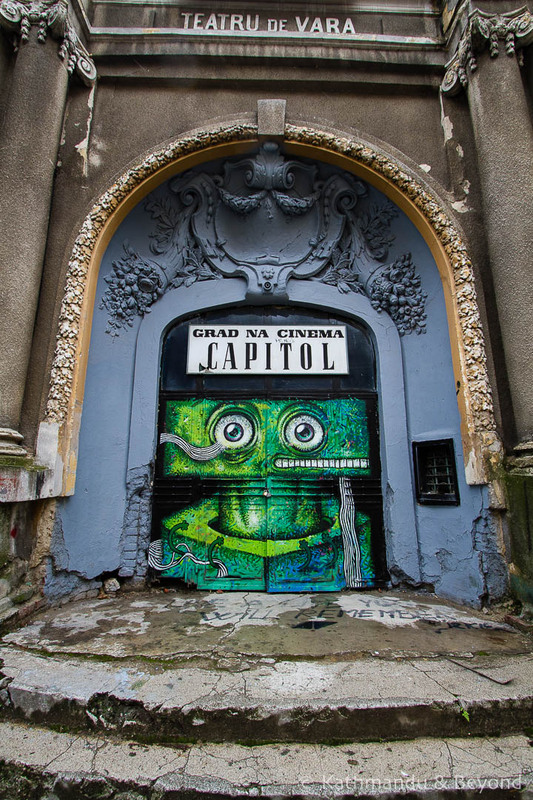 For example, we didn’t make it to the Danube Delta and the Black Sea coast, where we were especially interested in seeing the early 19th century, Art Nouveau-style casino in Constanta, which is currently abandoned to the elements. We also didn’t make it up to the north of the country, where the eight Romanian Orthodox Churches of Moldavia (the Bucovina Monasteries) are, by all accounts, stunning and well-worth seeing. Additionally, we wanted to drive the Transfagarasan Highway, Romania’s highest and most spectacular asphalted road, but with zero public transport on the route, we will definitely need our own transport in order to do so. And then there are places that were close to where we were but that we also missed out on. 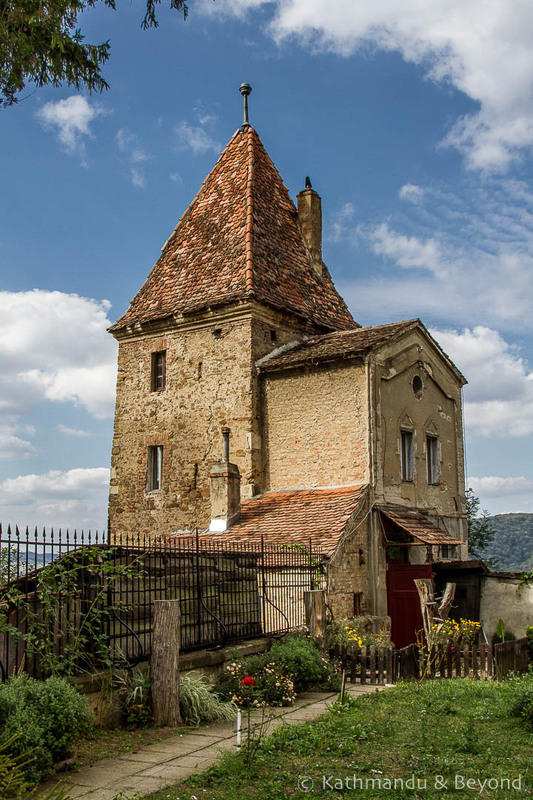 We were unable to visit the fortified Saxon churches in the vicinity of Sighisoara, for example. 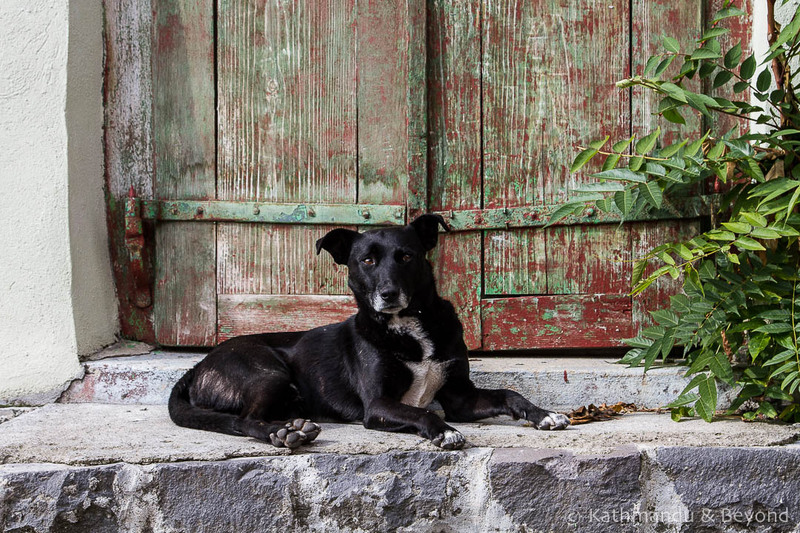 We had a tantalising glimpse of a couple of them on the bus ride from Brasov to Sighisoara but actually getting to the churches and associated villages by public transport was nigh on impossible, as was hiring a car for a day or two believe it or not? 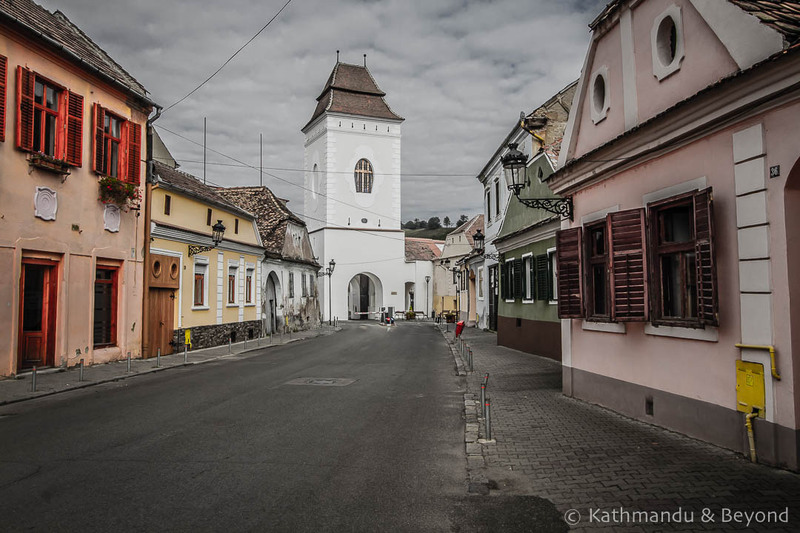 We followed up on a couple of car hire leads in our Lonely Planet guide plus we asked at Sighisoara’s Tourist Information Centre but to no avail. Our only option would have been to hire a private taxi and driver for the day but Romania is not that cheap a country and this would have been fairly expensive for just the two of us. What’s more, we deliberately chose not to visit Bran Castle (also known as Dracula’s Castle), which is accessible from Brasov in Transylvania. Our reasoning was partly down to the mixed fortunes with the weather but, also, we had read several articles about Bran Castle and they all portrayed the castle in a negative light with the biggest complaints being the sheer amount of visitors and the price of the entrance fee. We accept that entrance fees for well-known tourist attractions are going to be on the high side but out of principle, we refuse to pay an additional fee for a camera unless it is enforced on everyone who has a smartphone and therefore a built-in camera. It annoys us (well me!) no end that we have to pay to take photographs on an SLR when I know darn well that the person next to me, using their smartphone, hasn’t paid a penny to take pictures of exactly the same thing. 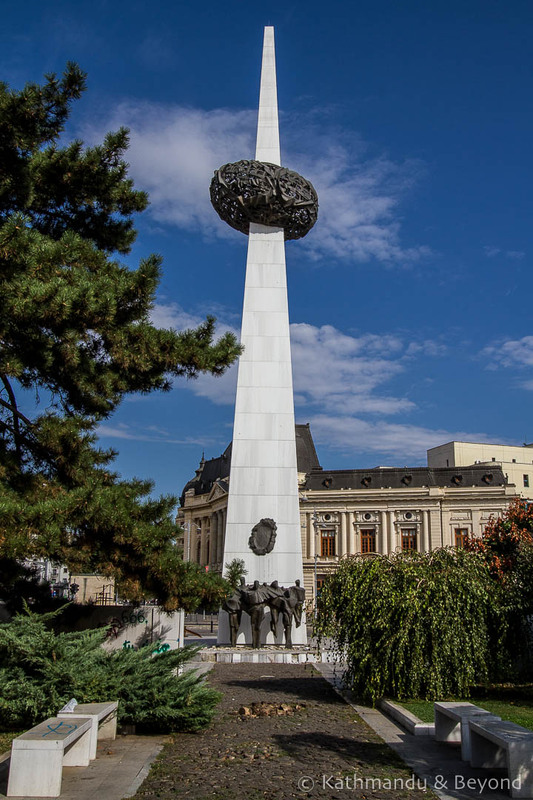 In fact, I could probably list more places we didn’t get to visit in Romania on this occasion as opposed to the ones that we did and, weather aside, it was the lack of decent public transport options that was the biggest contributing factor as to why. Romania does have an extensive train network but it can be very slow and from our experience, we found that the trains often departed or arrived at inconvenient times of the day. Still, they are preferable to road transport. Trying to understand the network of buses, minibuses, and maxitaxis (fixed route minivans) was often beyond our comprehension and we found that we spent an inordinate amount of time at bus stations, Tourist Information Centres and looking online trying to fathom how we were going to get from A to B and we followed a pretty straightforward itinerary! But, anyway, I’m not going to dwell on how frustrating the public transport was in Romania. We intend to return and visit the places mentioned above plus a few more, no doubt, but we won’t do it unless we have our own transport, plain and simple. Apart from that, Romania was a thoroughly enjoyable country and what little we saw impressed us a great deal. 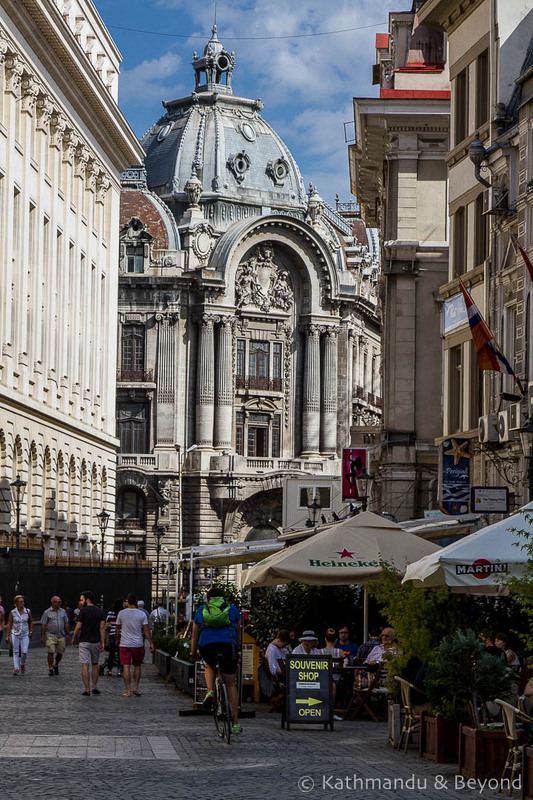 We spent ages wandering around the Romanian capital. 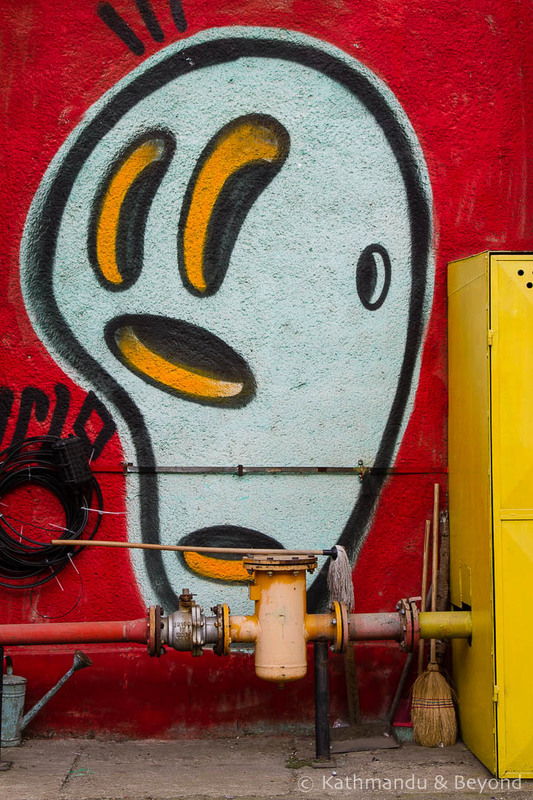 The heart of Bucharest’s Old Town (Lipscani) was a bit of a tourist trap and wasn’t up to much but the backstreets that surrounded it were full of quirky buildings and lots of street art, which kept Kirsty amused for the majority of her time in the city. We also liked the area around Revolution Square. 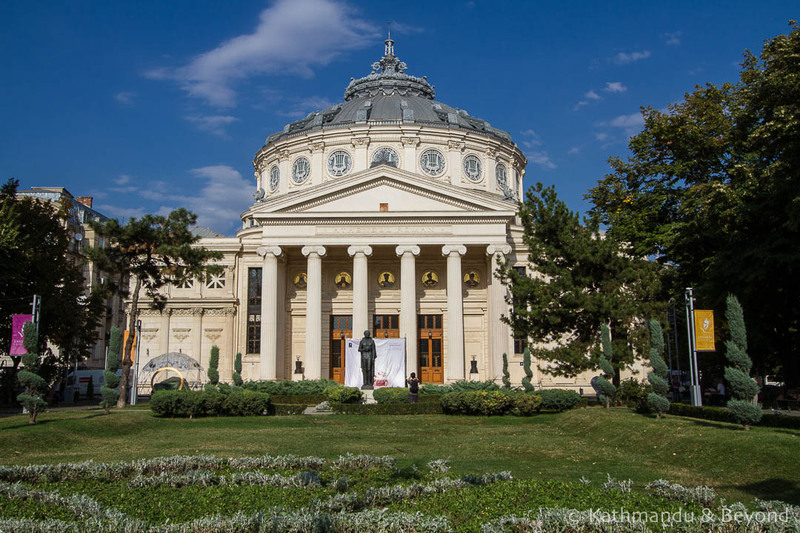 Here we found some of the capital’s most impressive buildings, including the National Art Museum and the Romanian Athenaeum. We stayed in a small apartment just off Revolution Square and it was an excellent base for exploring the city. 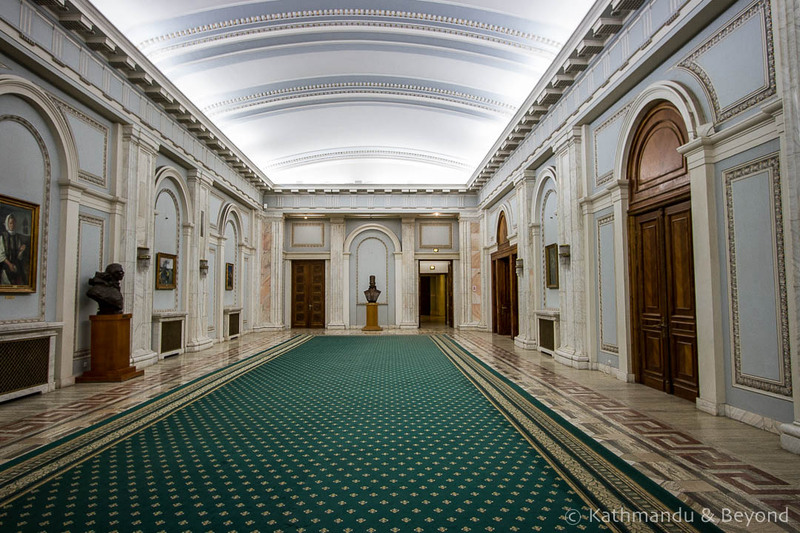 We also went on a guided tour of the gargantuan Palace of the Parliament. Infamously created by Nicolae Ceausescu during his tyrannical reign of the country and now the seat of the Parliament of Romania, this (still) incomplete construction is the second largest building in the world after the Pentagon in the United States. Entry is permitted by guided tour only and it is advisable to book in advance. We simply telephoned the day before (tel; 021-414 1426) and put our names down for the time we wanted. The staff speak English and payment is made when you arrive, i.e. there is no need to pay in advance. We were told to get there at least 30 minutes before our allotted tour began and were told to bring our passports (which you submit and get back after the tour). You can also book the tour online. There are a few tours on offer and we did the most comprehensive one that included the rooftop and a minuscule section of the basement which, as you can imagine, is also huge. In fact, on the entire tour, which lasts about an hour, you only really see a tiny portion of the building and in all honesty, we were a little underwhelmed with what we saw. It didn’t help that it was a terrible day and raining heavily, so the view from the rooftop was a washout, but generally, you didn’t really get the impression that you were inside such a vast building. The facts and tidbits handed out by our guide were the most interesting part of the tour for us personally. You have to pay extra in order to take photos, which we did (I know, principles and all that!) and it amused me no end when the guide named and shamed someone in front of the rest of the group for taking a photo on their smartphone when they clearly hadn’t paid the supplement (you get a little sticker to show you have paid the camera fee)! 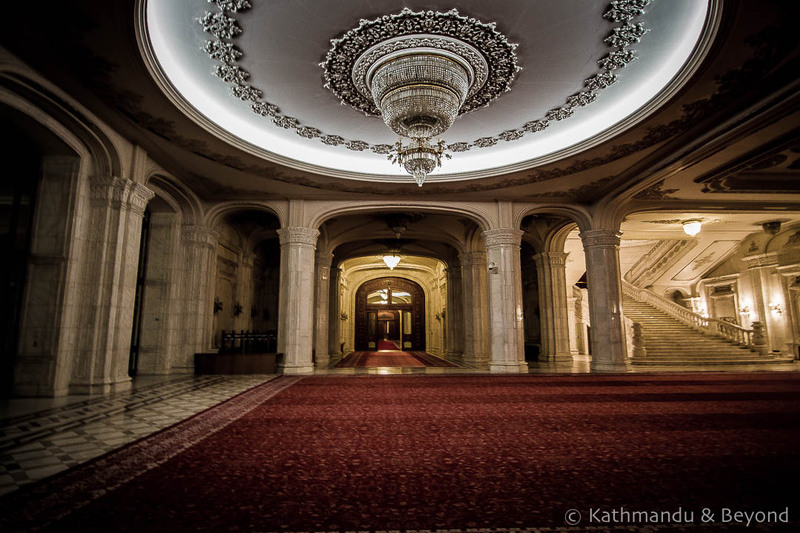 The tour cost us 55 Romanian LEI/person (£10.50/€12.00/$13.00). We then took the train to Brasov, which is located some 170km north of Bucharest. 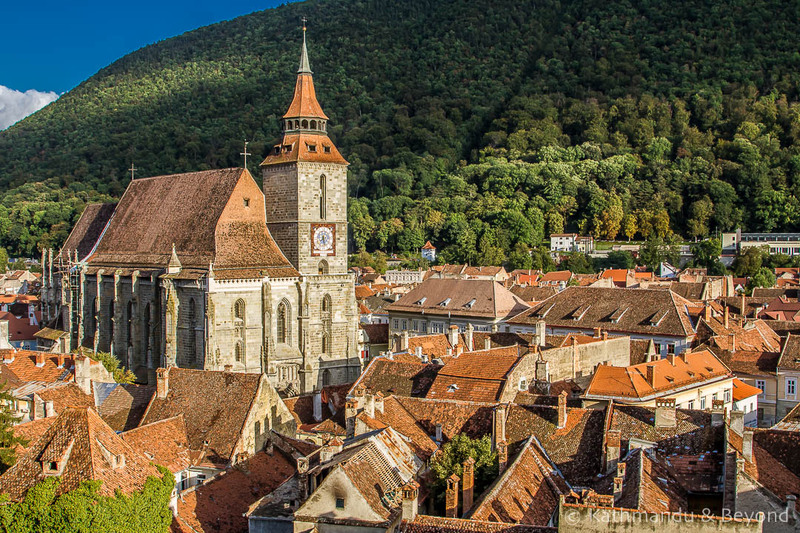 We liked Brasov and were surprised by how un-touristy it felt given its popularity when it comes to tourism in Transylvania. This may have had something to do with the fact that we were there in early October. I think in the height of summer and during the ski season, it is a different story. 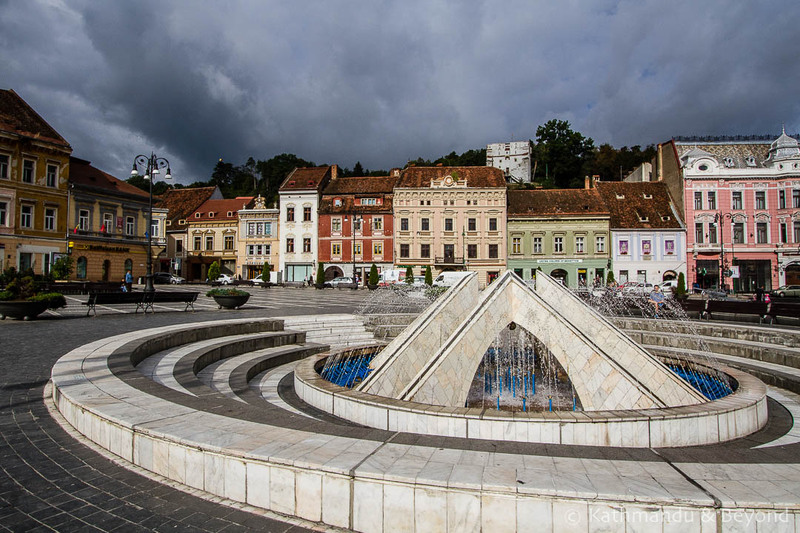 Anyway, the centre of Brasov, i.e. the old part of town, is very small indeed and it only takes a couple of hours to see it on foot. Further afield, but still within walking distance, the Citadel of The Guard and the back streets that lead up to it are worth discovering as well. Furthermore, Brasov is a good place in which to chill for a few days. 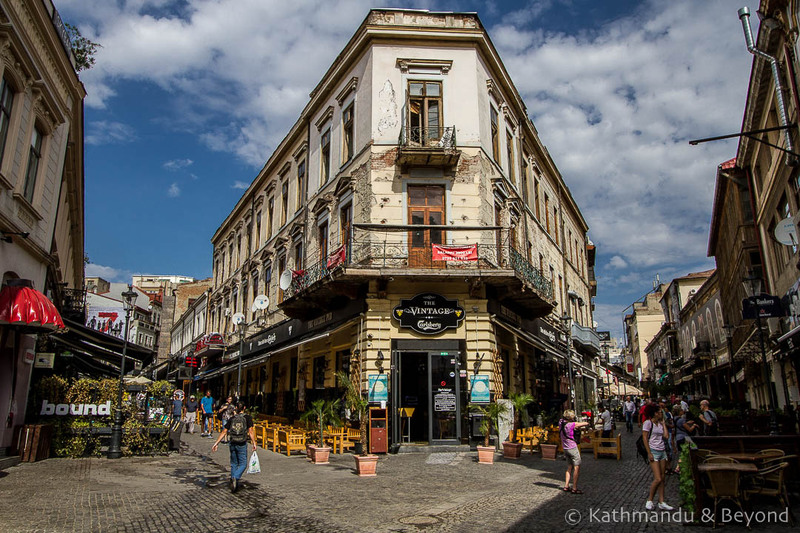 There are loads of cafes on pedestrianised Republic Street plus a few more around Sfatului (Council) Square. The huge Black Church, just off Sfatului (Council) Square, is particularly impressive and we also enjoyed the view from the elevated Black Tower, especially in the late afternoon when the glow on Old Town was lovely. 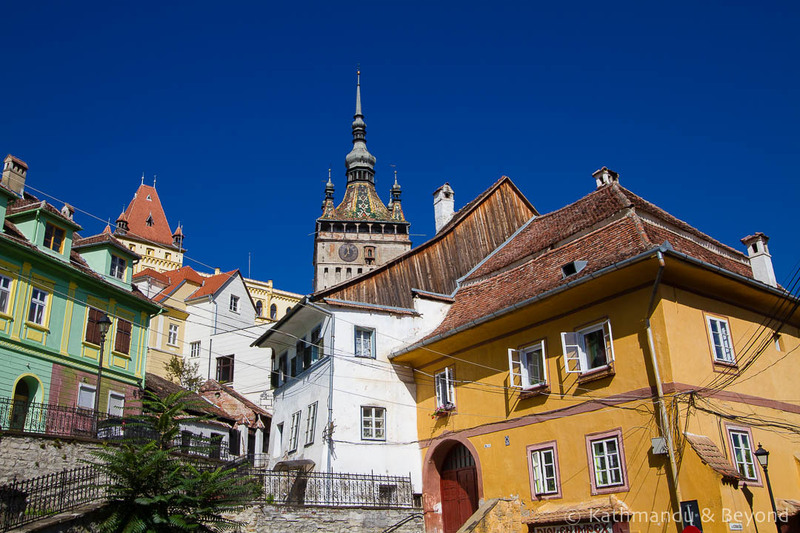 Remaining in Transylvania, our next stop was Sighisoara. Lonely Planet describes the UNESCO-listed town as being so pretty, it should be arrested.They’re not wrong. The historic Old Town is a quintessential Saxon town and one of the most picturesque places we have clapped eyes upon but, what Lonely Planet omitted to mention is the fact that there is only enough sightseeing to fill one day at most. We stayed for four days and were planning to spend a couple of those touring the Saxon churches and the surrounding countryside but, as mentioned earlier, we couldn’t rent a car for love or money and hiring one with a driver was costly. Sighisoara was also the most expensive place we visited in Romania. Five nights of accommodation (in a room you could barely swing a cat in) worked out pretty expensive and reasonably priced restaurants were few and far between (try Hotel Restaurant Bulevard for well priced Romanian food and Quattro Amici for decent pizza). 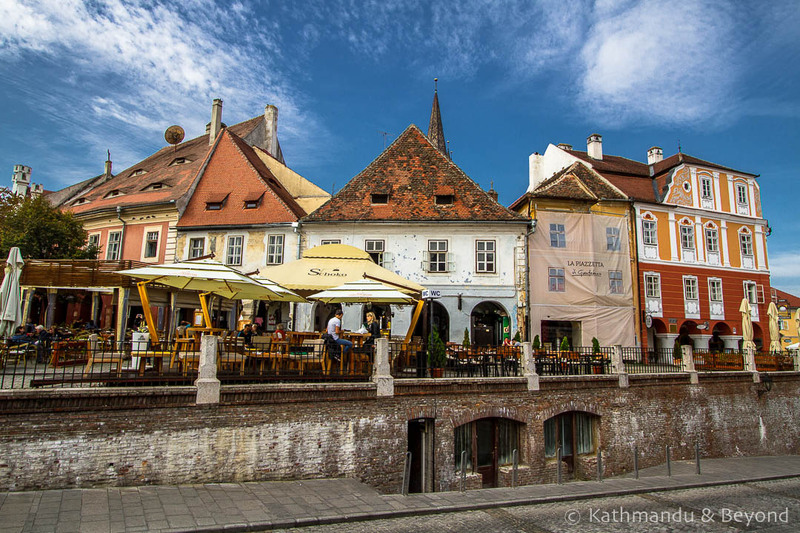 Sighisoara is undoubtedly worth visiting but Sibiu, which we visited next, was much larger and had more to keep us occupied. After a couple of days in Sighisoara, we were bored and ready to move on. En route to Sibiu, which is 80km southwest of Sighisoara, we broke the journey in the town of Medias for a couple of hours. 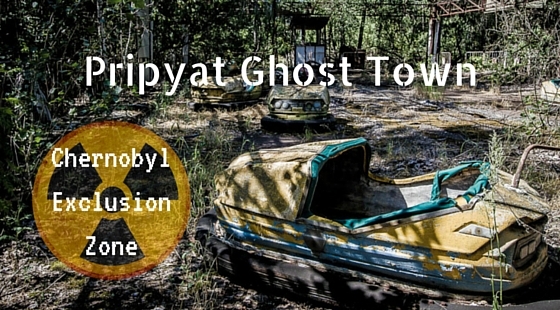 We stopped there on a recommendation from fellow travel blogger, Megan Starr. It was a good shout (thanks, Megan!) 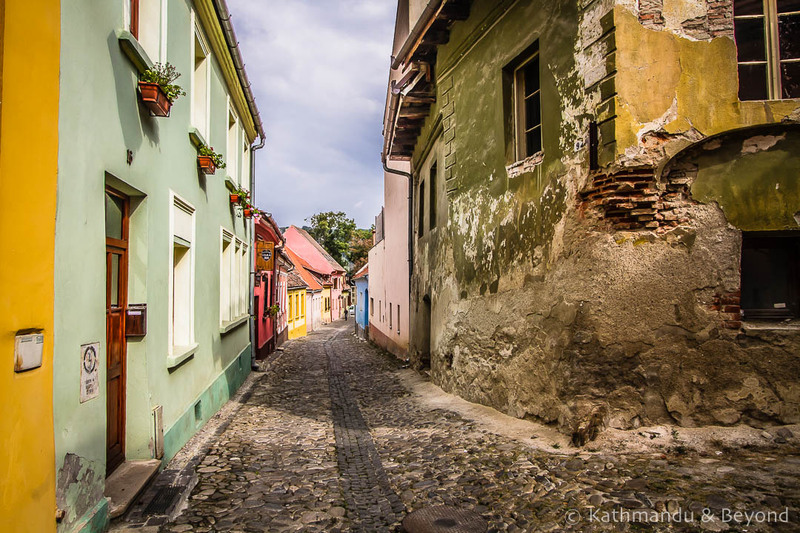 and had we known we were going to be somewhat stranded in Sighisoara for so long, we would have had one night less there and an overnight in Medias for a change of scene. Like everywhere else we visited in Romania (the exception being Bucharest), Medias was a small town with a colourful central square and easy to navigate on foot. We arrived by train, walked along to the nearby bus station, asked if we could leave our bags behind the counter for a couple of hours and then walked into town (*). (*) There was no left-luggage facility at either the train or bus station but Romanians are very accommodating people and the nice lady in the ticket office allowed us to leave our bags with her while we looked around the town. Medias has a good tourist board (where I am sure we could have also left our bags) and they set us straight on what to see in the limited time we had. By mid-afternoon, we were on a maxitaxi completing the short distance (40km) to Sibiu. 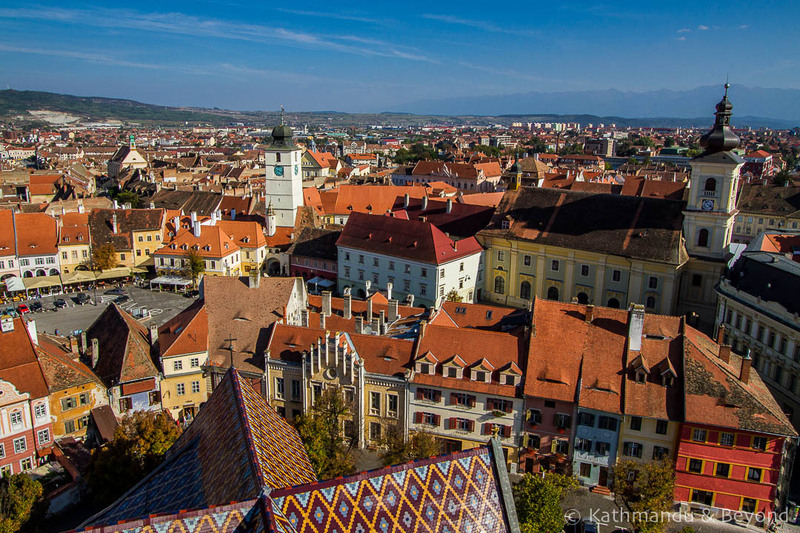 A previous European Capital of Culture (2007), Sibiu was the nicest place we visited in Romania and has been placed on our ever-increasing short-list of places we could easily spend an extended period of time in. 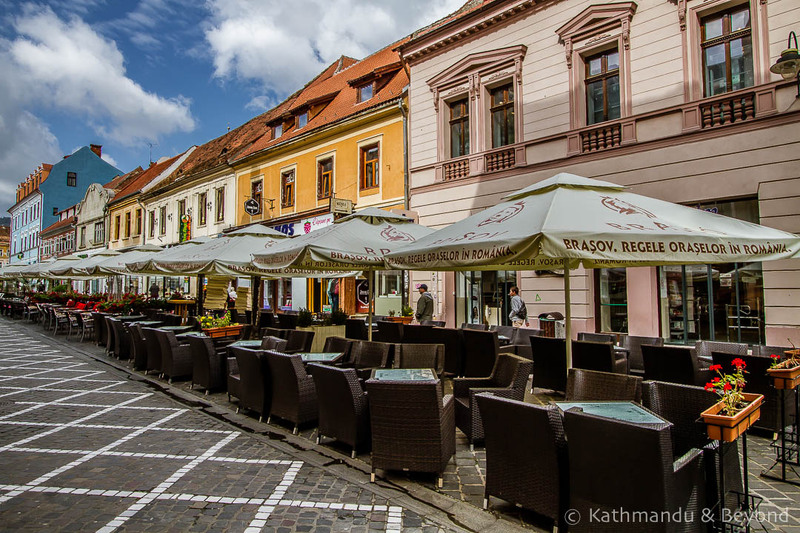 Sibiu has got loads going for it (both in form of sights and daily life), plus it is big enough to have decent transport links as well as a good range of places to stay and eat. Our only disappointment was, upon arrival, discovering a huge tent erected and dominating the otherwise flawless Mare Square. We were gutted. The tent was to remain in situ for our entire stay and that meant no decent photos of the square for us. Our disappointment was somewhat abated, however, when we found out that the bloody tent (as we had soon nicknamed it) was hosting an Oktoberfest and inside there was plenty of good beer, tasty food and live oom-pah music! 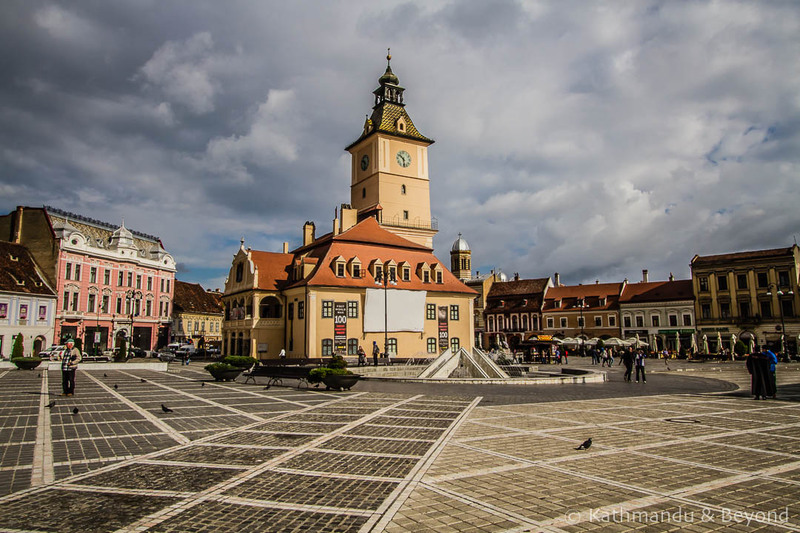 Still, needing to get photos of Mare Square gives us a good excuse to return to Sibiu when we next visit Romania. 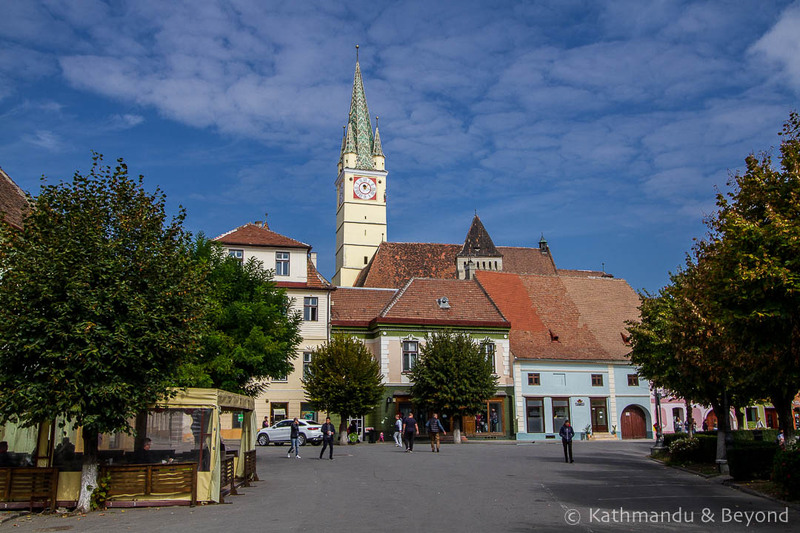 There are lots of Saxon towns and villages in the vicinity of Sibiu as well, but it’s the same old story, without your own wheels they are time-consuming to reach. 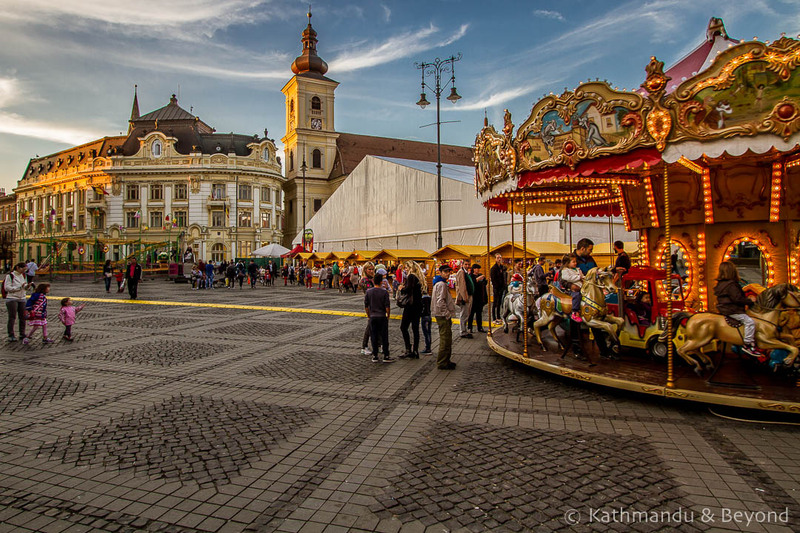 Mare Square in Sibiu with the bloody tent bang in the middle of it! 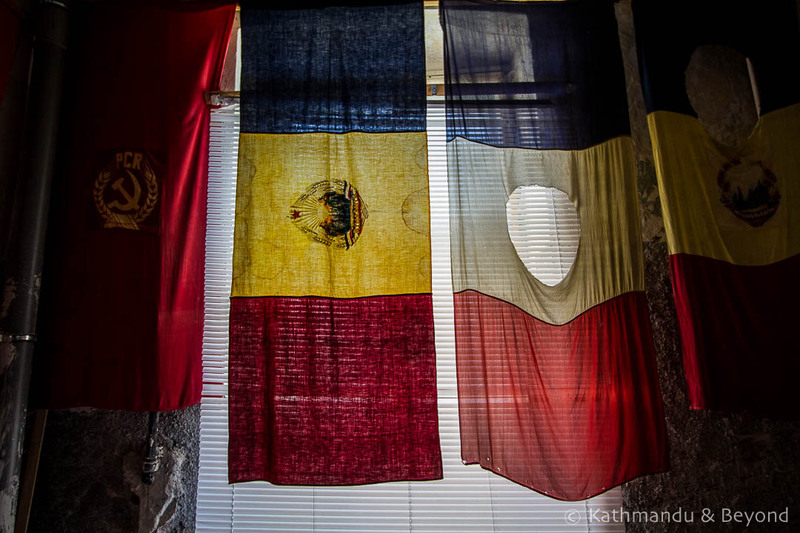 The final place we visited in Romania was probably the most interesting from a historical standpoint for us. Timisoara, which is not that far from either Serbia or Hungary, played a pivotal role in the Romanian Revolution (16–27 December 1989) and the final demise of Nicolae Ceausescu and his wife, Elena. The first protests against the regime were held in Timisoara and snowballed throughout other parts of the country thereafter. 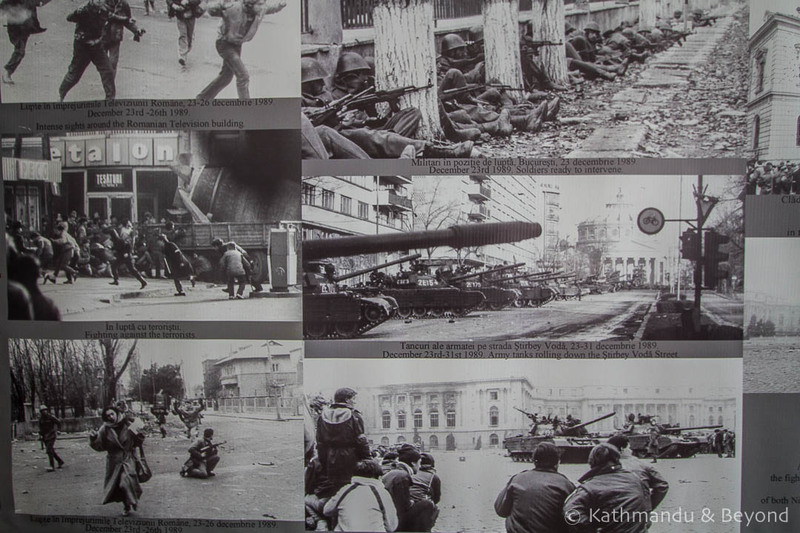 The excellent Permanent Exhibition of the 1989 Revolution museum is a good place to start if you are interested in learning more about what happened during this period of Romania’s history. 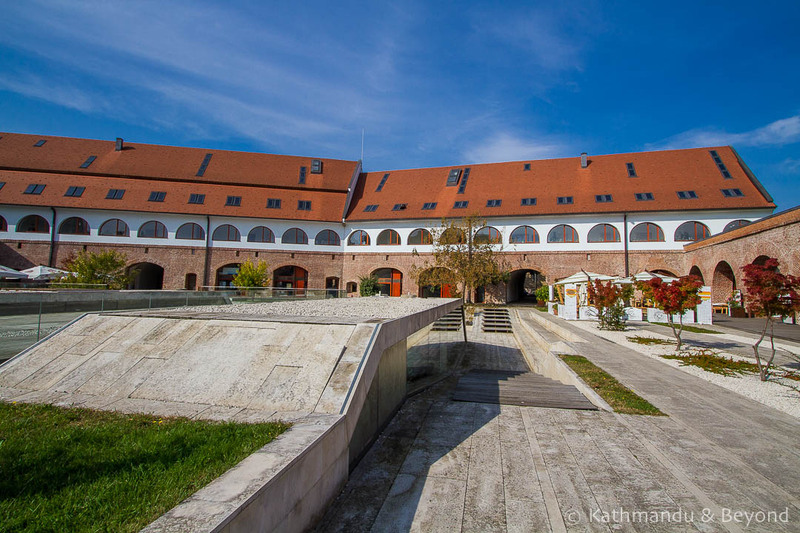 The museum is located a short distance north of Unirii Square and the majority of the exhibits are labelled in English. A 20-minute video (with English subtitles) is shown to new arrivals and admission is by donation. 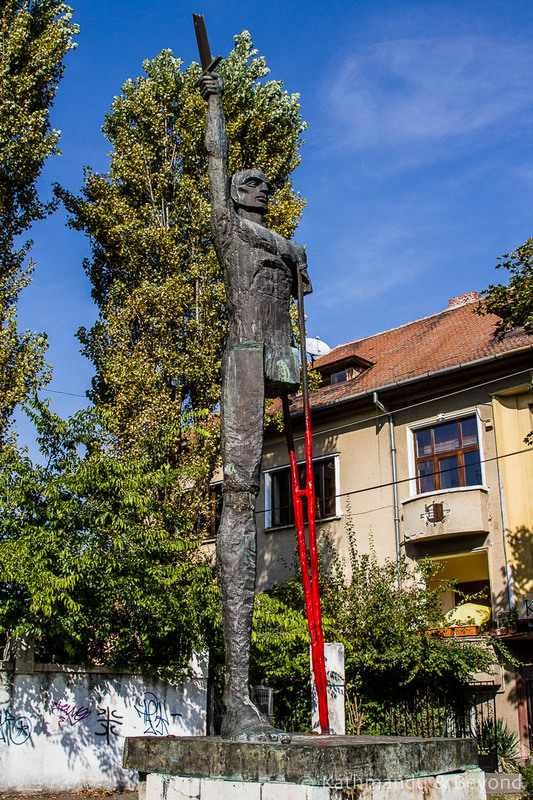 We got talking to the female curator of the museum and she told us that there were memorials all over the city that represented key events in Timisoara’s part in the revolution and that most of them were within walking distance. We expressed an interest in seeing some of them and she provided us with a map (5 LEI) and a small booklet (free), which explained the significance of each memorial. We spent the rest of the day locating them. Quite a few of the memorials were near to Libertatii Square and easy to find, while others (the Memorial Complex in the Heroes Cemetery for example) involved quite a bit of walking and were harder to locate. A couple of them were too far to reach on foot. 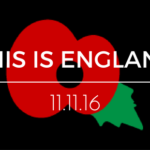 For us, it was a worthwhile use of an afternoon as we are interested in modern history. But without the map and booklet, tracking them down would have been fruitless as we wouldn’t have known the significance of what we were looking at so if this is something that interests you, be sure to visit the Permanent Exhibition of the 1989 Revolution museum in the first instance and ask for a copy of the map and the booklet. 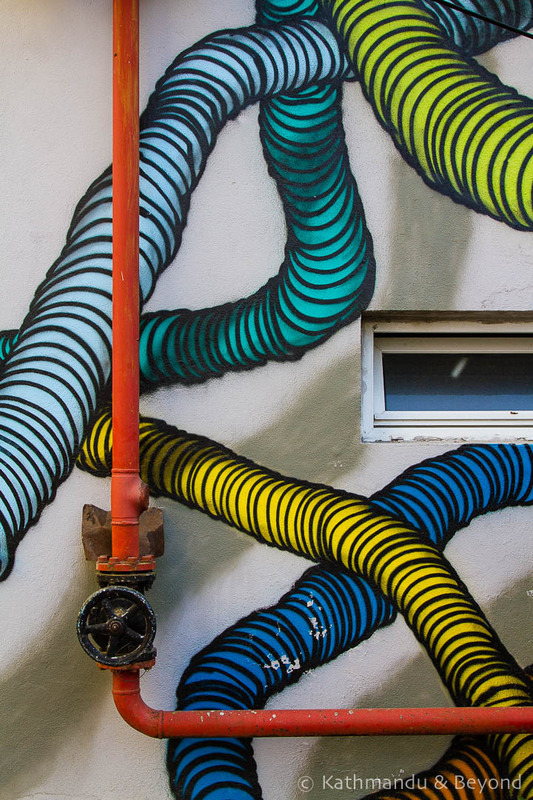 Away from revolutionary monuments, Timisoara is an appealing city with lots of resplendent architecture and a thriving cafe culture. 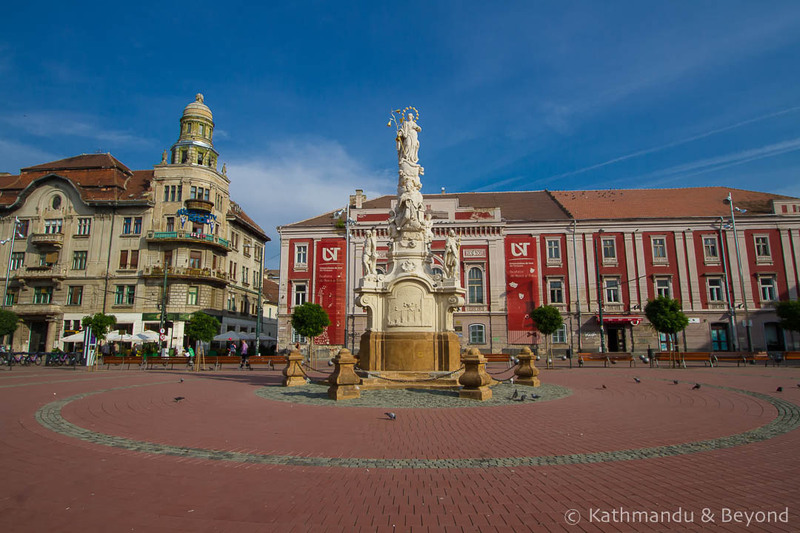 The middle of the city centres around three main squares, Unirii (where you will find the baroque Roman Catholic Cathedral), Libertatii and Victoriei. The latter isn’t really a square but more a pedestrianised thoroughfare lined with cafes, shops, and grand buildings. 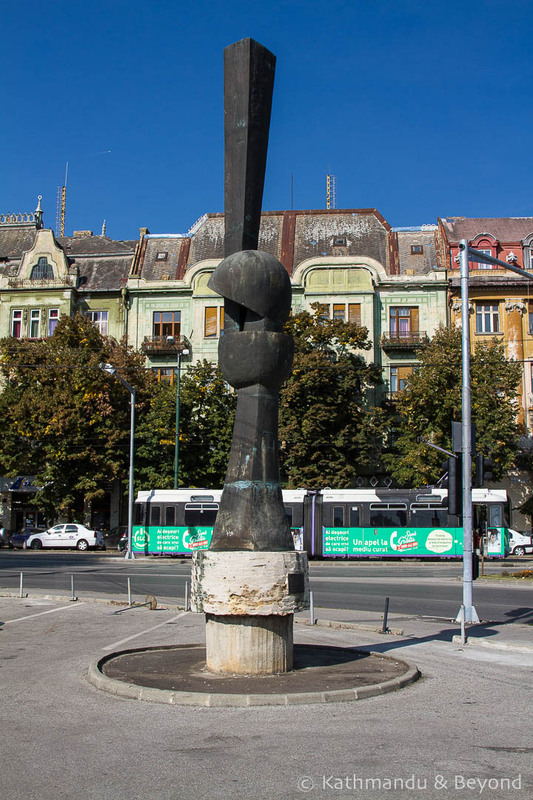 It was here that the first peaceful demonstrations against the Ceausescu regime took place and there are monuments to mark the event at both ends of the square. 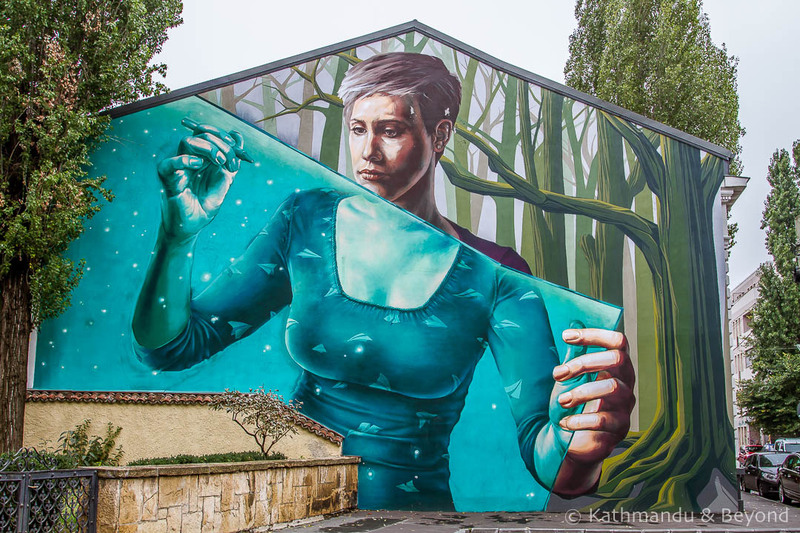 We liked Timisoara, it had a nice feel about. 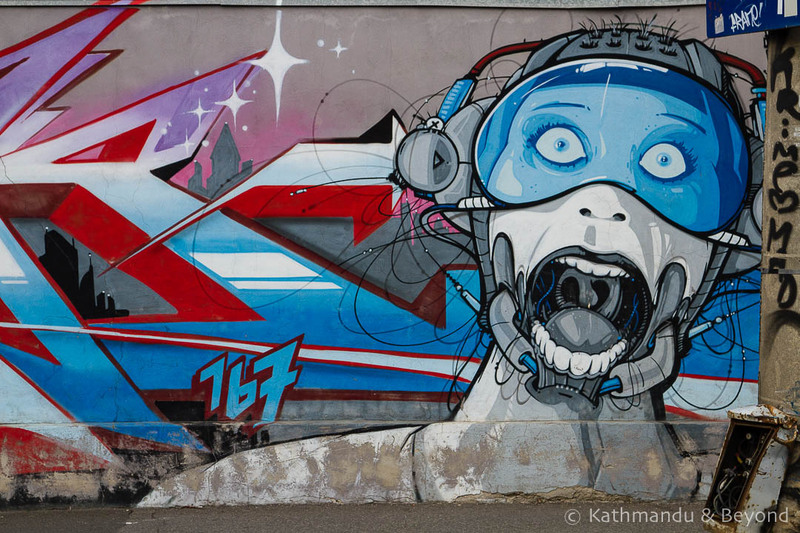 We even managed to find loads of street art, which made Kirsty happy no end (once again!). The only downside to visiting Timisoara was the usual lack of decent public transport options. Buses depart from various locations throughout the city and working out what leaves from where is anyone’s guess, including the lady in the Tourist Information Centre who was totally clueless about public transport. Catching the train to nearby Arad, from where onward connections are slightly better, is the only real option unless you are heading to/coming from Bucharest. That said, when we left Timisoara, we caught a train to Bekescsaba in Hungary. The train came from Bucharest, went via Arad and was eventually terminating in Budapest but it was painfully slow at times and we incurred quite a bit of delay along the way. Apparently, Timisoara has good air connections, both within Romania and further afield, but this was of little help to us at the time. In Bucharest, we stayed at J Studio, a small but extremely central apartment located about 200 metres from Revolution Square. The owner/point of contact (I never know if they are one and the same) was helpful and even stocked our fridge with complimentary beers and ciders, which was a nice touch! We paid €30 per night. The apartment doesn’t seem to be on booking.com anymore so I can’t provide a direct link. The Studio Republique was another apartment. Not surprisingly, it was bigger than our one in Bucharest and again the location was excellent, being just off Sfatului (Council) Square. There were quite a few short-term rented apartments in the same building but we never heard any noise from our neighbours. We paid €31 per night. The Pension am Schneiderturm was where we had the room in which we could barely swing a cat. To be fair, we were originally given a much bigger room by the owner but the bed was accessed via a rather steep set of wooden stairs and neither of us was happy about getting up in the middle of the night and going arse over en route to the bathroom (bloody hell, we’re getting old!). Plus the Wi-Fi didn’t reach that particular room so we asked to move and the only room available was way smaller. The pension was located in the heart of the old town and the owner, who was half Romanian, half Greek, was a generous host who plied us with homemade wine, walnuts, and other such goodies. He also put on an impressive breakfast spread which included loads of local produce. We liked the pension but our view was slightly tarnished because we spent too much time in general in Sighisoara and therefore more time than we usually spend in the room itself. We paid €43 per night including breakfast, which was too much for us for a five-night stay. City Center Studio was another apartment and another great location just off Mare Square. Nice and quiet, with a modern bathroom and a good but compact kitchen, there was nothing to dislike about this place. It was also a bargain at only €21 per night. We had a room with a private bathroom at the Arthouse Lucrezia in Timisoara but we also had use of a well-equipped kitchen so it was kind of like an apartment. The room was a decent size but the walls were a little on the thin side plus it was located quite a distance from both the centre of town and the railway station. But for the price, it was the best we could find and the young owner was friendly and helpful. We paid €26 per night. I’m not sure if you have worked it out by now or not, but we liked Romania and would like to return sooner rather than later! It’s not the cheapest country in the region and the public transport system leaves a lot to be desired (did I mention that??) 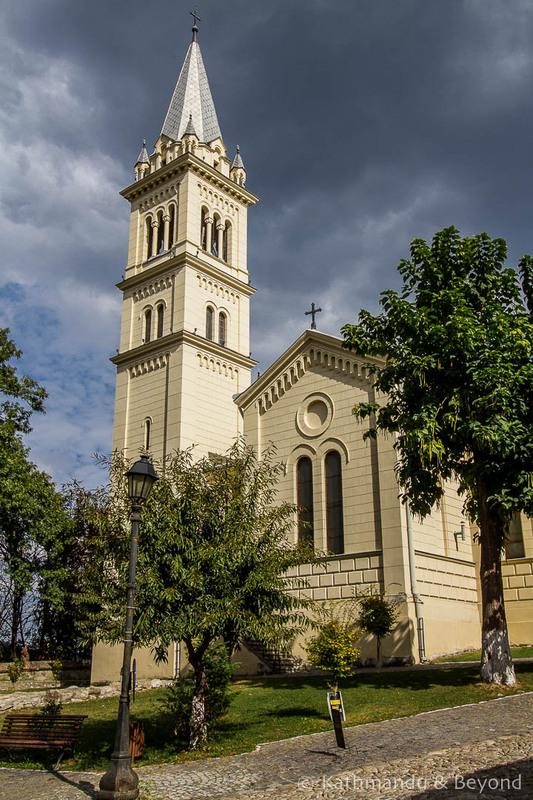 but Romanian towns are very enticing and perfect for slow travel and a lingering itinerary, meaning if we did return without transport, we wouldn’t need to dedicate so much time to working out how to get from A to B or indeed travelling on Romania’s public transport system (*). (*) Not sure if I have just invented the term lingering itinerary or not, but I like it and shall use it more! And one final thought … is Romania similar to Bulgaria? Quite a few people have asked us this question, especially other travellers. Lonely Planet put both countries into the same guide book and given their close proximity to each other, it does make sense to visit both Romania and Bulgaria as part of the same trip. But, as we’ve discovered on numerous occasions, being neighbours and lumped in the same Lonely Planet guide book, certainly doesn’t mean one country is similar to another. Georgia and Armenia are classic examples – their languages, national psyche and even their appearances are worlds apart from each other and the same can be said of Romania and Bulgaria. For starters, Romanians are of Latin decent. As Karoly Kiraly, a former senior official on Ceausescu’s Communist government, said in 1978 (eleven years before the Romanian Revolution), Romania is “an island of Latins surrounded by a sea of Slavs”. This is very true and their respective languages have nothing in common. Also from our experience, and that’s all I am basing these observations on, the Romanians we encountered were more open than the Bulgarians we met. For us, the Bulgarians came across as more reserved. This is not a bad thing, I am English after all and certainly know how to do reserved, and what’s more, we noticed the same thing when we crossed from Romania to Hungary. But the Romanians are definitely more outward going. Also, the landscape in each country was quite different. Bulgaria seemed more built up to us than Romania but in fairness, we spent longer in Bulgaria and saw more of the country so it’s difficult for either of us to make a full-on comparison. Both are good countries and we only wouldn’t go back to Bulgaria so soon after our summer 2016 visit simply because we have seen everything we want to see for the time being, whereas we would go back to Romania because there are still several places we want to visit. I nearly forgot, there is one thing the two countries have in common – smoking and drinking coffee. Both nationalities, especially the males, do both as if they were going out of fashion! Thanks for your comment Frank. Funny, we found the opposite when it came to the people – happy and friendly and often going out of their way to help us (apart from in the Tourist Information Centres!). 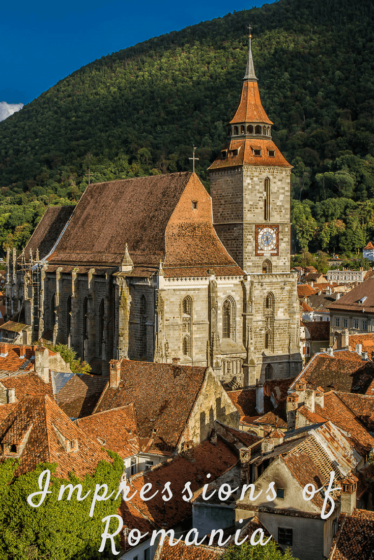 Would love to have seen the fortified churches around Brasov but our bugbear was the lack of decent public transport options and getting to the churches was too tricky and time consuming for us! We are looking forward to another trip there in the near future. May be we should group together and hire a car – I’m happy to do the driving!! Thanks for a really interesting and informative article. 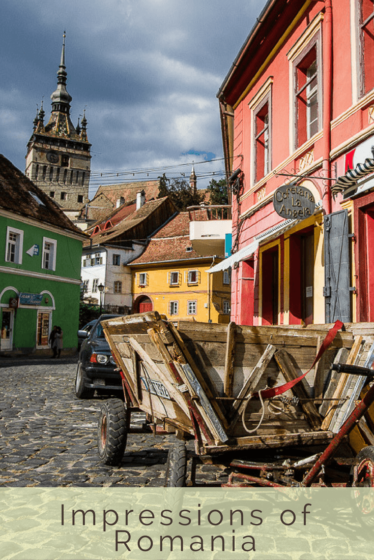 My wife and I are planning a week in Romania in early September… and were planning to base in Sighisoara for a bit. We will have to look more closely at Sibiu I think! Unfortnuately it will be a fairly brief stay, as we’re starting in Budapest through various circumstances. Thanks again for the information and fabulous pictures – my EOS and I are really looking forward to the trip now! Thank you for the kind words Andrew and I’m glad you found the post informative. 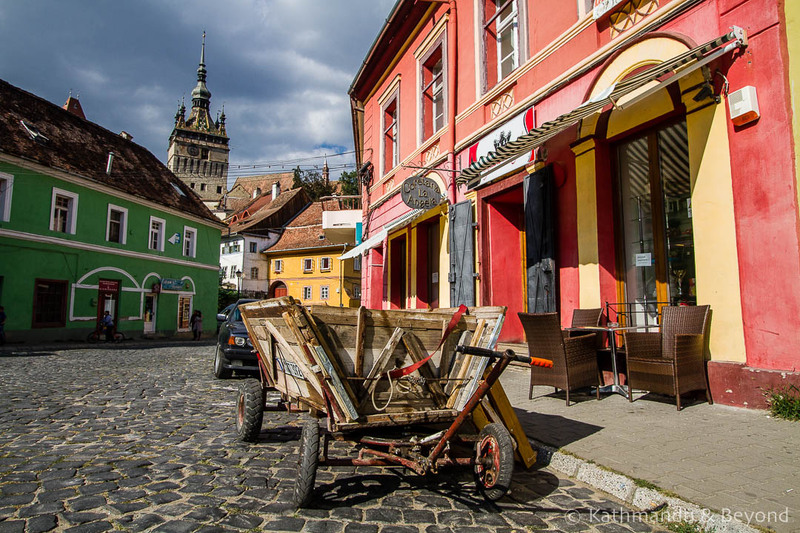 If you have a car then Sighisoara is a great base for exploration but if you can afford to spend some time in Sibiu I don’t think you will regret it! You EOS will be working overtime in Romania, it is a very photogenic country!!! Have a great trip!